First freelancer I hired didnt fix a bug that made the calculator, I paid him for, not giving right prices. We all know that bugs may appear on codes after some testing, its imposible to be sure a code is perfect after testing for one, 2 days, sometimes even for a week. Thats why serious developers fix their codes if you report a bug after buying it, even if its have been a month or more. 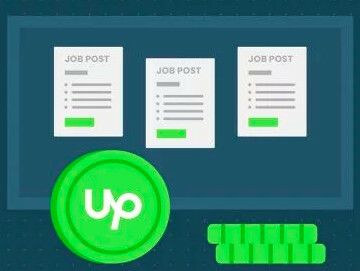 Upwork is diferent, after you pay there is no more responsability and you just depend on the freelancers will to fix something you have paid for. That first time my fault, I gave a review too fast and paid too fast so I didnt try to get a refund, I knew I would loose my time. Anyway I dont understand why I cant change reviews, if there was the possibility to change reviews some freelancer would have a completly diferent score, clients will not be cheated and upwork will be a better platform. Second freelancer , I talked with him about my first problem, I told him we really didnt have that much time left, post job with the needed fix and some extra formulas, everything was perfect before giving him the job, even asked him what he would like to charge for the work. After I gave him the job...crik, crik, crik... maybe he went on a vacation? maybe he won the horse races?...maybe he is dead in front of his computer? I want to cancel the job, he cant say he had work nothing because I changed all acces after him didnt answer my messages, its a test site and I cant be waiting to see when this good man decides to work, I want to cancel and get my money now so I can hire a real freelancer. I guess in this cases you should have an option so I can charge the hours I lost to the freelancer, that option will stop them from not taking clients time serously. How do I properly cancel and ask for a refund?? Is the refund as fast as it is the charge that you make or will I have to wait a week to get my refund? do I have to open a dispute at Paypal? Waiting for you to tell me how should I proceed. PD its a shame we can't post the freelancers names, that way this things would happen less. Sorry to hear about your experience with this freelancer. Our team will reach out to you via support ticket to assist you directly and advise on further steps. please could you give me the steps to get the refund? I dont want to cancel job and find out later that if I cancel that way I dont get a refund, there are some "tricky" steps I dont want to misunderstand. Should I open a dispute in Paypal? One of our agents already reached out to you via this support ticket and have provided all the requested information for you. Please consider following up on that ticket and kindly communicate with our team through that ticket if you have any questions, in order to keep all the information in one place. re: "Do I have to open a dispute at Paypal?" This would be a violation of Upwork ToS. You would have less chance of actually getting money back, and you would risk losing the ability to use the platform at all. Everything that protects clients are violatiosn of upwork, I asked for a refund and my freelancer has not response yet. re: "I asked for a refund and my freelancer has not response yet." This may be a good thing, depending on what you mean by "you asked for a refund." If you send a message via email or the messanging tool to the freelancer, asking for a refund, then that has no actual impact unless the freelancer takes action. 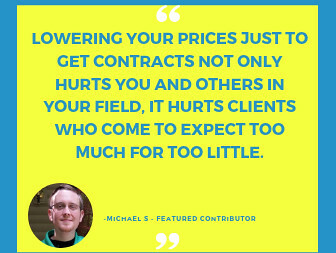 But if you used an actual button associated with the fixed-price contract to request escrow money be refunded to you, then if the freelancer does not respond, the money will be refunded to you automatically. The freelancer has 7 days to respond to accept or reject the refund request. If there is no response, you get the refund. Still waiting for refund, but money is what worries me less right now. I found out he had copied entired site, even the database... after I told him I was going to cancel job, he asked for 24 more hours and now I find out he installed a plugin and copied my entire site....really worried about it. 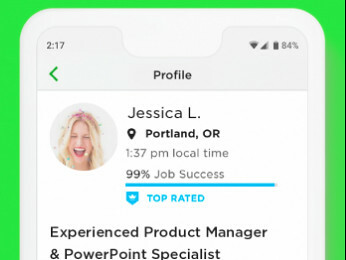 I didnt know it was such a risk working with upwork, I hired a freelancer with the highest ratings and many jobs done. I`m sorry to hear about the bad experience you had. Just to confirm that one of our team members will assist you directly on your ticket as soon as possible. If you have any additional questions/comments feel free to post them on your ticket. Thank you.